The 100G Lambda Multi-Source Agreement (MSA) Group, which was formed just in October 2017, released preliminary specifications based on 100 Gbps per wavelength PAM4 optical technology. The new interfaces defined by the 100G Lambda MSA increase the distances supported for 100 GbE and 400 GbE applications compared to the 100 Gbps (100GBASE-DR) and 400 Gbps (400GBASE-DR4) 500-meter reach interfaces currently being defined by IEEE 802.3 Ethernet. The 100G Lambda MSA has developed optical specifications for 100 GbE with reaches of 2 and 10 kilometers and for 400 GbE with a reach of 2 kilometers over duplex single-mode fiber. By focusing on 100 Gbps per wavelength, the 100G Lambda MSA is enabling a technology ecosystem for next-generation networking equipment. Members of the 100G Lambda MSA Group include Alibaba, Applied OptoElectronics, Arista Networks, Broadcom, Ciena, Cisco, Finisar, Foxconn Interconnect Technology, Inphi, Intel, Juniper Networks, Lumentum, Luxtera, MACOM, MaxLinear, Microsoft, Molex, NeoPhotonics, Nokia, Oclaro, Semtech, Source Photonics, and Sumitomo Electric. 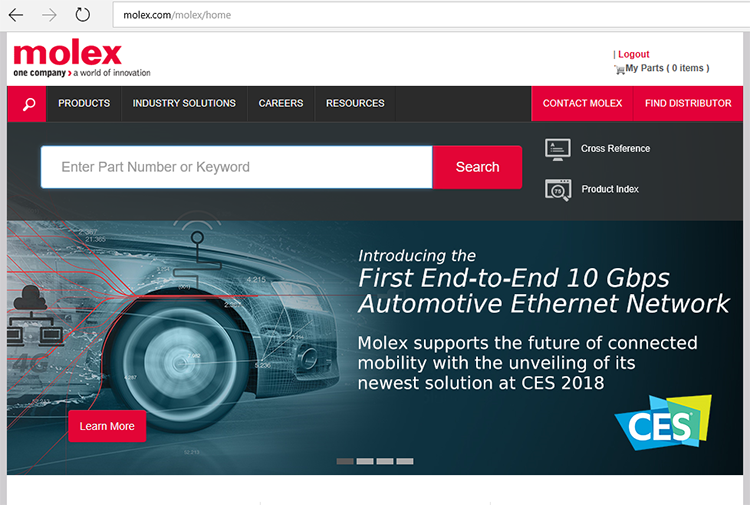 Molex introduced its 10G Automotive Ethernet Network for connected and autonomous vehicles. 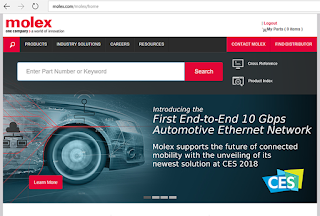 The Molex 10 Gbps Automotive Ethernet Network connects Electronic Control Units (ECUs) throughout a vehicle. It offers secure over-the-air software and firmware updates and diagnostics over IP (DoIP) to help avoid the need for vehicle recalls and enabling in-vehicle security and diagnostics over IP. Molex said its platform is compatible with existing network components provides OEMs the design flexibility to accommodate different vehicle profiles and integrate evolving new technologies. Aquantia partnership - The Molex 10 Gbps Automotive Ethernet Network incorporates an Aquantia chip optimized for Multi-Gig Ethernet to support data transfers between Electronic Control Units (ECU). Excelfore partnership - Molex is working with Silicon Valley-based Excelfore, which provides innovative middleware solutions for in-vehicle and vehicle-to-cloud smart mobility networks. A demonstration at CES shows how Excelfore solutions integrated with the Molex 10 Gbps Ethernet Automotive Network enable over-the-air (OTA) diagnostics, firmware and software updates to different automotive devices, from different vendors, running different operating systems, across multiple networks. AllGo Systems partnership - Molex and AllGo Systems have teamed up to develop advanced infotainment systems for intelligent connected vehicles. AllGo's OTG and Media Solutions support iPhones and Android phones, and distributed media playback to other smart devices within the car. At CES 2018, Molex and AllGo are demonstrating OTG Hubs and Media Modules incorporating AllGo solutions for wired and wireless infotainment in automotive cockpit systems. Demonstrations will include an OTG Hub running Apple CarPlay over USB, and Android Auto 8.0 and QNX on the head unit and digital instrument cluster. An OTG Hub and Adaptor enable the head unit to support CarPlay in either USB Device or Host mode. An AllGo Video Streaming Solution enables seamless media sharing between cluster, head unit and network storage device. High-resolution navigation data is streamed from the head unit running Android to a digital instrument cluster running QNX. Running in parallel, 4K high-resolution content is streamed from a network storage device to the head unit and played back on a secondary display. Microchip partnership - Molex and Microchip Technology Inc. are collaborating on the development of integrated USB Media Modules and USB Power Delivery Solutions for automotive infotainment systems. The work focuses on the increasing number of USB ports in vehicles, and how USB can deliver more power and bring driver assistance applications to the head unit display. BlackBerry Certicom's Managed PKI (Public Key Infrastructure) Service, to securely provision, authenticate, and communicate between modules and other vehicle ECUs and peripheral devices connected to the network. In-vehicle connections can be made via Ethernet IP-based devices or LIN, CAN, USB, and other supported legacy communication protocols. As part of the PKI, BlackBerry Certicom is providing an efficient and powerful Elliptic-Curve Cryptography (ECC) solution that can also be extended to communications between the vehicle systems and the cloud. 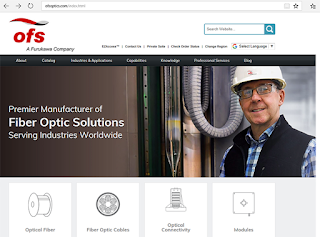 OFS and CommScope a new eight-year deal under which OFS will supply optical fiber to CommScope for use in its customers’ networks. Financial terms were not disclosed. “Through this agreement, CommScope secures access to a premier supply of optical fiber for development of innovative fiber cabling products for global wireline and wireless networks,” said Jaxon Lang, senior vice president and Connectivity Solutions segment leader, CommScope. 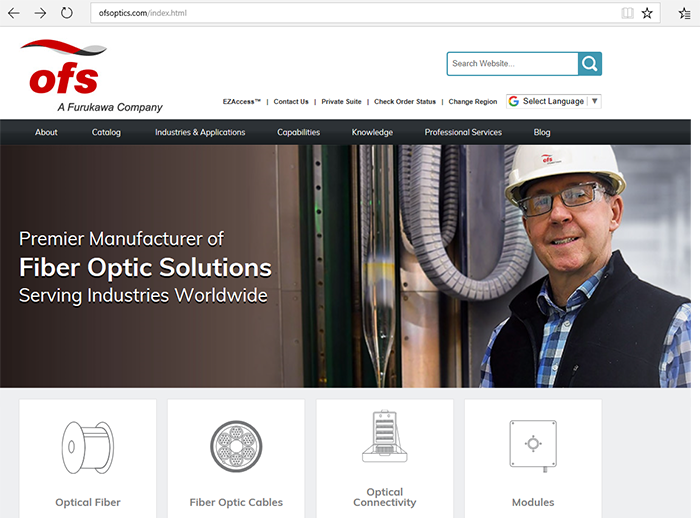 "OFS values our long-standing partnership with CommScope and supports their global operations with a multi-sourced contract from our optical fiber facilities in the United States, Europe and Japan,” stated Pierre Marty, senior vice president, Global Marketing and Sales at OFS. 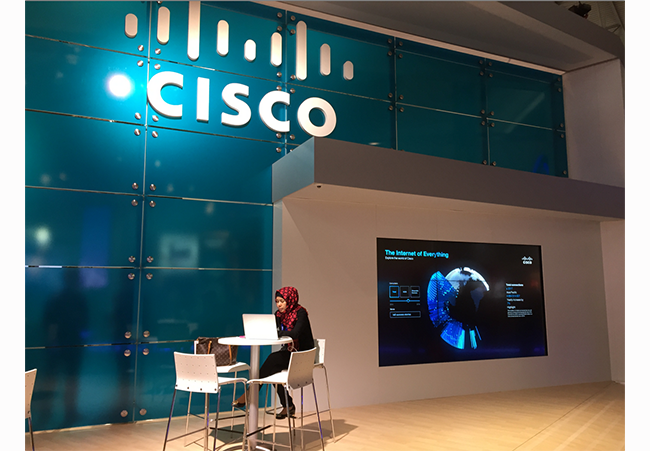 Cisco is introducing a DOCSIS licensing plan for cable operator customers using its Converged Broadband Router (cBR-8) platform. Unlike traditional licensing models for converged cable access platform (CCAP) devices, which require cable operators to purchase large numbers of new bandwidth licenses for every service group where they want to offer the expanded service, Cisco's new pricing plan has only one license type based on bandwidth consumption. This enables cable operators to provision all of the capacity of their CCAP platforms without restrictions or upfront licensing expense. Cisco said the new licensing plan, which it calls Infinite Broadband Unlocked (IBU), is aligned to the number of subscribers across the network, so license investment is highly aligned to revenues and avoids stranded capital. Tele2 and Com Hem agreed to a merger that will create the second largest mobile telephony and fixed broadband provider in Sweden and the market leader in digital TV, behind Telia. Com Hem’s shareholders will receive as merger consideration SEK 37.02 in cash plus 1.0374x new B shares in Tele2 for each share in Com Hem. This values the deal at about US$3.3 billion. Com Hem operates a fiber-coax network serving approximately 1.5 million residential customers across Sweden. The company was established in 1983 and has approximately 1,200 employees. Its head office is in Stockholm. Tele2, which was established in 1993 and is based in the Kista Science City, Stockholm, Sweden, operates an extensive mobile network across Sweden and has interests in The Netherlands, Lithuania, Latvia, Estonia, Kazakhstan, Croatia, and Germany. The combined company will have a customer base of 3.9 million mobile customers, 0.8 million broadband customers and 1.1 million digital TV customers in Sweden. Its 4G network will cover the entire country while its broadband network will cover almost 60 percent of Sweden’s households. The companies cited total annual OPEX, CAPEX and revenue synergies estimated at around SEK 900 million to be achieved within five years. The preliminary combined net sales for the twelve months ended September 30, 2017 are approximately SEK 31.8 billion with an adjusted EBITDA of SEK 9.2 billion and OCF of SEK 6.1 billion, of which Sweden accounted for approximately SEK 22.8 billion of net sales, SEK 7.2 billion of adjusted EBITDA and SEK 5.2 billion of OCF. Arctic Wolf Networks, a start-up based in Sunnyvale, California with offices in Ontario, Canada, raised $16 million in new funding for its security operations center (SOC)-as-a-service. The Arctic Wolf service provides a cloud-based security incident and event management (SIEM) application combined with a team of expert security engineers committed to the client's operational requirements. The new funding was led by Sonae Investment Management with participation from Lightspeed Venture Partners, Redpoint Ventures and Knollwood Investment Advisory. Arctic Wolf is headed by Brian NeSmith, who previously was CEO of Blue Coat Systems. Before that, he was the CEO of Ipsilon Networks (acquired by Nokia). Idea Cellular, the third largest mobile operator in India and sixth-ranked in the world, has selected ECI to upgrade its optical network. 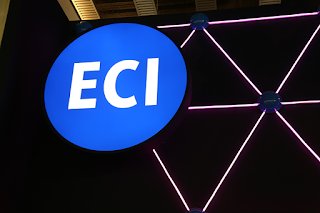 Under the project, ECI’s access DWDM solution will be rolled out across more than half of the operators’ network. ECI said its solution will ensure maximum utilization of Idea’s existing infrastructure while creating a future-proof solution that already accounts for additional upgrades. “Idea is a pan-India wireless broadband operator offering high-speed mobile internet and digital content services to our customers. ECI has long been our partner and has supported us in rolling out 3G/4G networks with optimum solutions. We will be able to enhance capacity and meet the ever-growing demand for data with the new solution,” stated Mr. Anil Tandan, Chief Technology Officer, Idea Cellular. 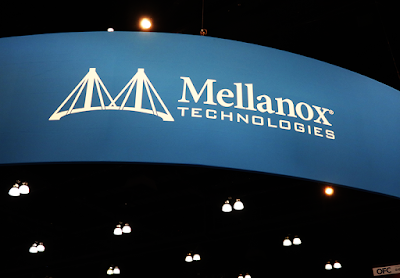 Mellanox Technologies will discontinue its 1550nm silicon photonics development activities, effective immediately. The company said the decision to exit this segment was based on sales performance and that the company will focus its efforts on delivering 200 Gbps and 400 Gbps cables and transceivers. 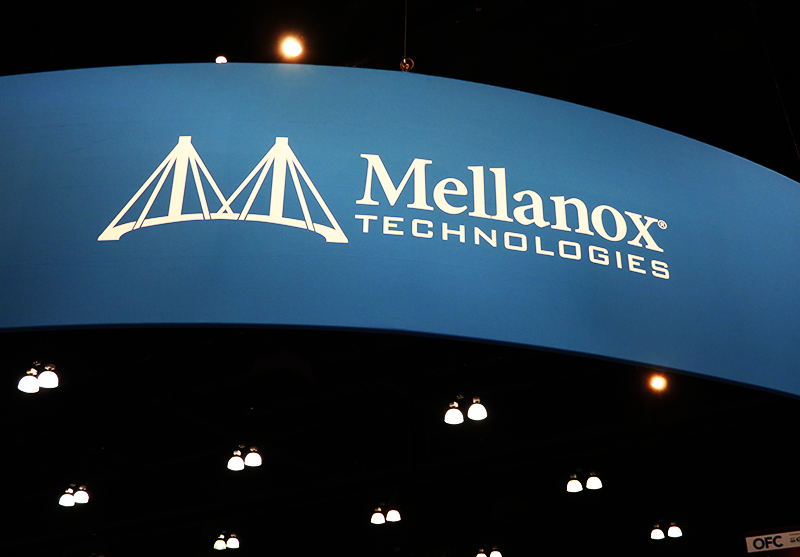 Mellanox will incur an estimated aggregate charge of $21 million to $24 million, including approximately $4 million to $5 million of cash expenditures – mostly related to the severance costs of a reduction in force of about 100 people – as well as approximately $17 million to $19 million of other charges, consisting primarily of non-cash items. The company does not expect an impact on fiscal 2018 revenues. No impact is expected for its Variable Optical Attenuators (VOA) product and Mellanox will continue to sell to and support its VOA customers. Telenor selected Nokia as its sole supplier for the replacement of its legacy optical backbone network in Norway and Sweden. The upgrade replaces the current optical core network connecting major centers across Norway and Sweden with coherent optical transmission based on Nokia equipment, including its 1830 Photonic Service Switch. Financial terms were not disclosed. The next-generation optical network will feature advanced wavelength routing (CDC-F) for greater flexibility and dynamic network management and automation. 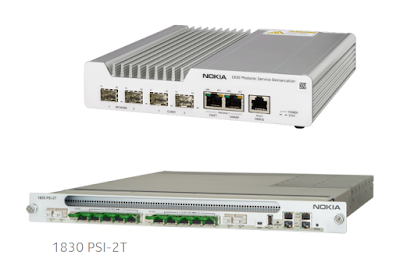 Nokia said the new network offers an SDN-ready platform for automating, optimizing and assuring network services. The IoT M2M Council (IMC) announced the additions of HPE, PTC, and Wind River (Intel) to its fledgling template RFP Program for IoT Software Platforms. The IMC's template reference document is aimed at simplifying the sourcing of IoT software, and later, hardware and connectivity solutions. The program provides reference documentation of established software platforms. For participating vendors, the RFP template is expected to shorten the sales cycle. “No other industry group or major consultancy is talking to buyers at scale and looking at the actual IoT sales process. My staff spends a lot of time responding to RFPs. The IMC’s RFP program gives us a report from a credible third-party that allows us to respond to RFPs more quickly, as well as a place to send potential buyers where they can access a template RFP document and learn more. If this program reduces my sales cycle, even just incrementally, it will be well worth it,” says Volkhard Bregulla, VP of Global Industries, Manufacturing, & Distribution at HPE, with a seat on the IMC board. Unitymedia, a second largest cable operator in Germany and a subsidiary of Liberty Global, has selected to upgrade its optical backbone. As of September 30, 2017, Unitymedia had 7.2 million customers, of which 6.4 million are TV subscriptions, 3.4 million Internet and 3.2 million telephony subscriptions (RGU). With this upgrade, Unitymedia is adding flexible grid capabilities and leveraging Ciena’s WaveLogic Ai solution to overcome data center complexities and reduce operational expenses. Ciena said the higher channel capacities offered with WaveLogic Ai, up to 400Gb/s on a single wavelength, enables Unitymedia to offer new high capacity bandwidth services, deliver up to four times the bandwidth within the same infrastructure and site environment while reducing the cost per bit. 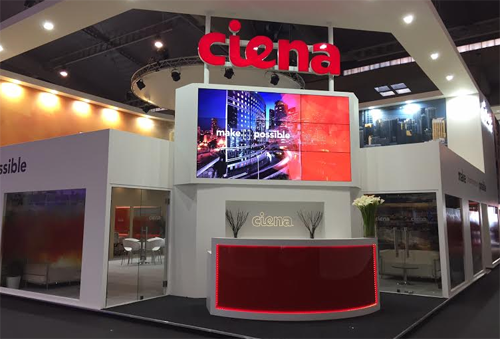 Unitymedia will also use a number of services from Ciena’s Specialist Services Portfolio, such as installation, operation, and testing. Citing tightened service provider capital spending in North America, NETSCOUT announced disappointing preliminary financial results for its third quarter of fiscal year 2018 ended December 31, 2017 and trimmed its outlook for the full fiscal year. NETSCOUT expects third-quarter fiscal year 2018 GAAP revenue in the range of approximately $267 million and $271 million with non-GAAP third-quarter revenue anticipated to be in the range of approximately $270 million to $274 million. NETSCOUT’s GAAP net income for the third quarter of fiscal year 2018 is anticipated to range to between $87 million and $90 million, or $0.99 per share (diluted) and $1.02 per share diluted. NETSCOUT’s non-GAAP net income for the third quarter of fiscal year 2018 is anticipated to range to between $58 million and $61 million, or $0.66 per share (diluted) and $0.69 per share (diluted). NETSCOUT also announced that it plans to enter into accelerated share repurchase agreements.